Formalwear can be a bit of a minefield and, with this in mind, we’ve put together a simple guide to traditional morning suit etiquette. The morning suit, also referred to as morning dress, remains a popular choice for weddings and other traditional events, as well as for days at the races. 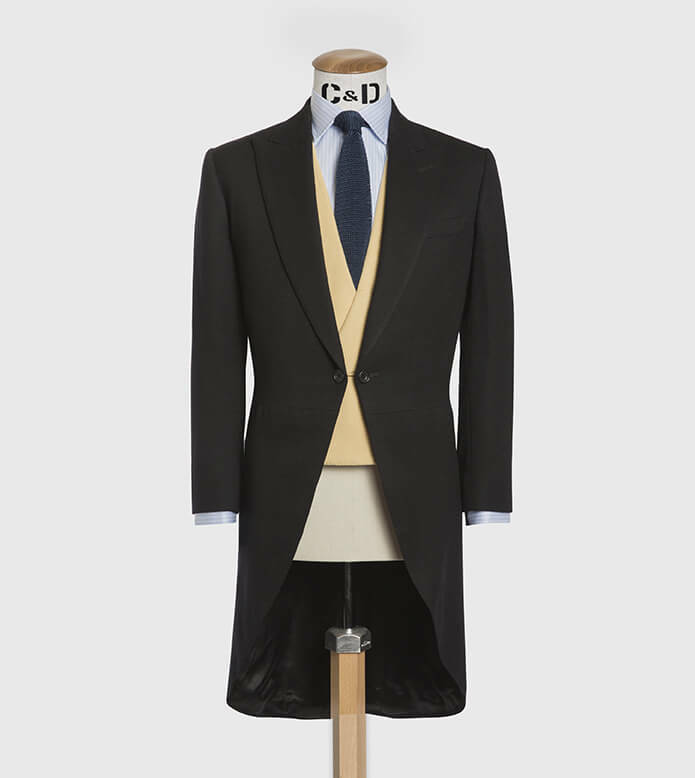 The morning cut of a tailcoat, commonly single breasted with one button (or very rarely two) and with peaked lapels. Cloth is usually pure wool and either black, dark grey or mid grey in colour. Most often the waistcoat element of this dress code is worn in contrasting dove grey, pale yellow or light blue. There is an opportunity here to add individuality to your look with a slightly different cloth – perhaps a linen or silk mix. A pair of formal striped trousers in shades of grey and black, in a variety of stripe width and designs. The other cloth option we sometimes recommend is a dogstooth. There are two options for a collar; the pointed or increasingly popular cut away. The turn down collar is worn with a tie, in which case the shirt has double cuffs. This gives the opportunity for cufflinks, which should remain understated. A well cared for pair of Black oxford shoes or dress boots. Polished and well presented is the order of the day here. Last but not least, it is the top hat that really defines this dress code. Black silk top hats are the ultimate choice for morning dress but grey and black felt remains very much the more popular option.